Why stay in a cookie cutter hotel when you can choose one with character? Why stay in a brand new building when you can opt for one which oozes historical charm? One with Greek revival architecture and Egyptian detail perhaps? 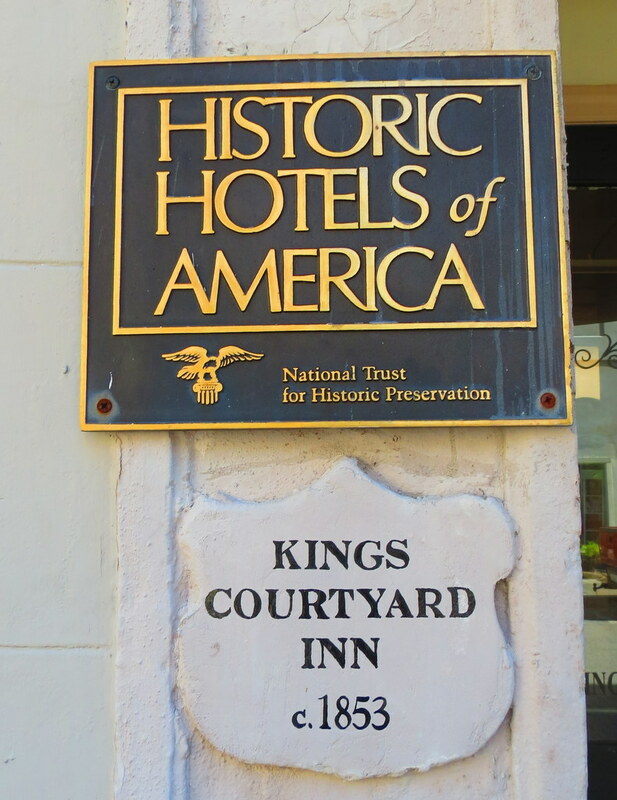 Charleston’s most charming Inn, Kings Courtyard Inn is an enchanting blend of history and hospitality, culture and cuisine, art and architecture, and has a warmth and grace which made us feel instantly as though we were part of their family. Our beautifully restored room was anything but ordinary. Decorated with antique reproduction furniture, original hardwood floors, oriental rugs, a fireplace, four poster canopy bed and modern technology, we were treated to all of the creature comforts of today’s modern world while enjoying the quaint coziness of a historic inn. The room was incredibly spacious while maintaining an air of intimacy and romance. The furnishings were modest yet incredibly elegant. The antebellum heritage was perfectly restored, and no-where was it overdone. We felt as though we had stepped back in time and were instantly soothed by our surroundings. It was the perfect escape from our stressful, modern reality! Charm, elegance, warmth and style; Kings Courtyard Inn embodies all of the qualities of a truly remarkable historic hotel. Beautifully restored room with all of the creature comforts of today’s modern world. The hospitality we received far exceeded our expectations. Invited to enjoy complimentary wine and hors d’oeuvres upon arrival, we spent the afternoon socializing with other guests in the sun-filled courtyards. The friendliness of the staff and open layout of the building fosters an amazing sense of community and we felt right at home. A spectacular location in the very heart of Charleston’s historic district, we were shocked and surprised by the ease and availability of parking. With instant access to the antique and shopping districts, the City Market, historic homes and restaurants, we didn’t find need for our car again until we checked out. All of Charleston’s main attractions and most characteristic neighbourhoods were within walking distance. 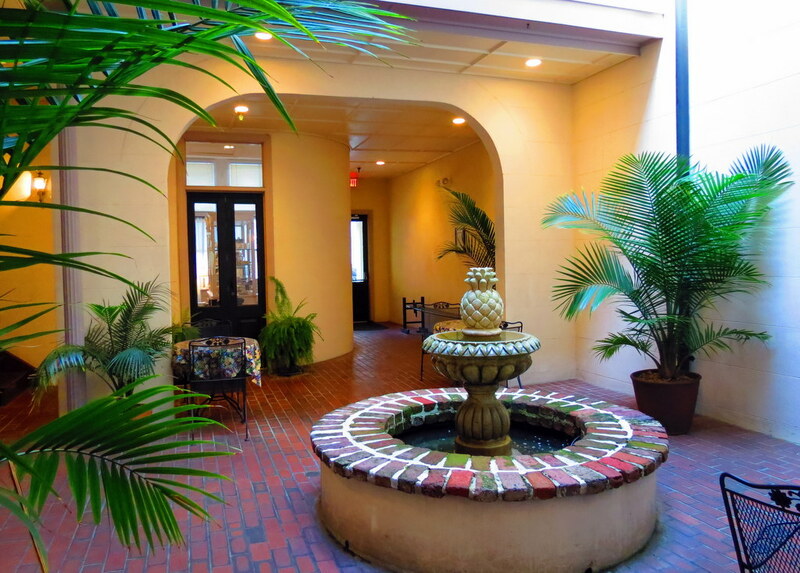 Without having stayed at the 3 other Charleston hotels within the Charming Inn brand, we still dub Kings Courtyard Inn the most charming. Though if our first experience with a Charming Inn was anything to go by, we now have 3 other reasons to re-visit Charleston! Courtyard cocktails in the evening! Hotel entrance. 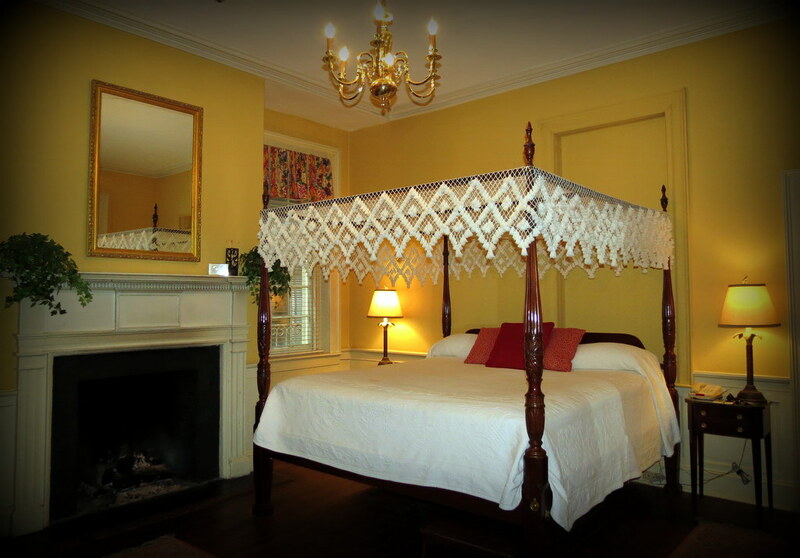 I just love B&B’s that have that old colonial charm! My boyfriend and I stayed in a similar place in West Virginia. 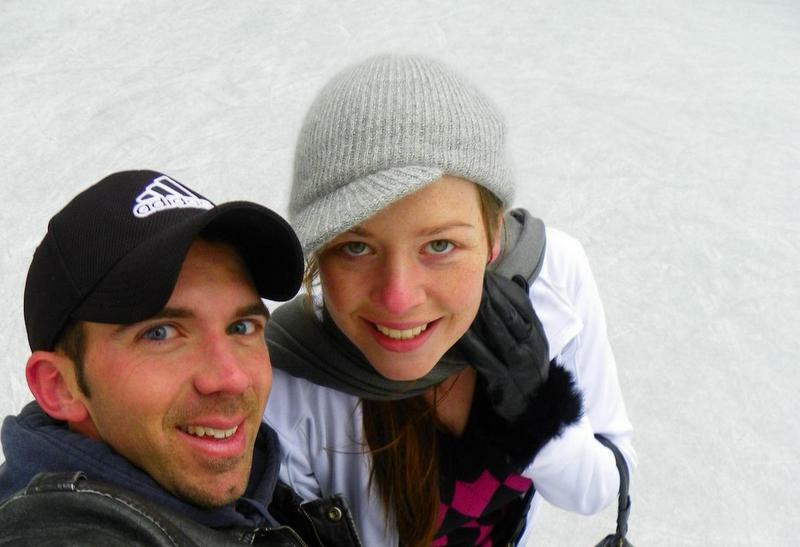 Hope you’re enjoying your stay here in the states! Thanks! Really loving the States – has so much more culture and history than the rest of the world gives it credit for! 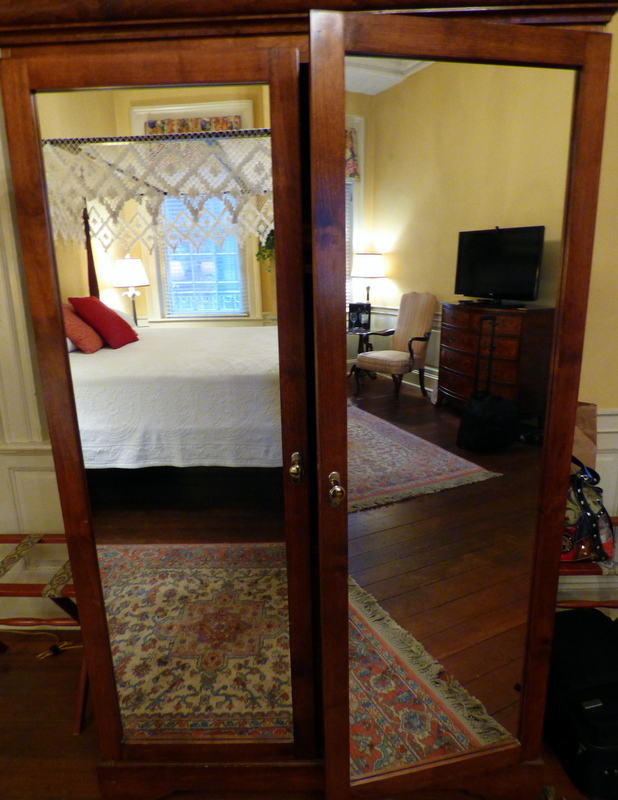 Going to try and only stay in old colonial B&B’s where we can – love them :D! Wish we had stayed there when we were in Charleston! Next time I’ll make sure to check them out. Thanks for the review! I love Charleston! Thanks for sharing. The next time we go I’d love to stay HERE. Glad to hear! We love Charleston as well – have to plan another trip sometime soon!! Next time we go will spend more than just the one day!! The lobby looks great. Just like a living room! The lobby was fantastic – the whole hotel was just charming down to the detail! This place looks exactly like where you would want to fall asleep in a historic city like Charleston. It really made the whole experience just amazing – we had the full Charleston experience! I love seeking out accommodations that embody the spirit of the destination. 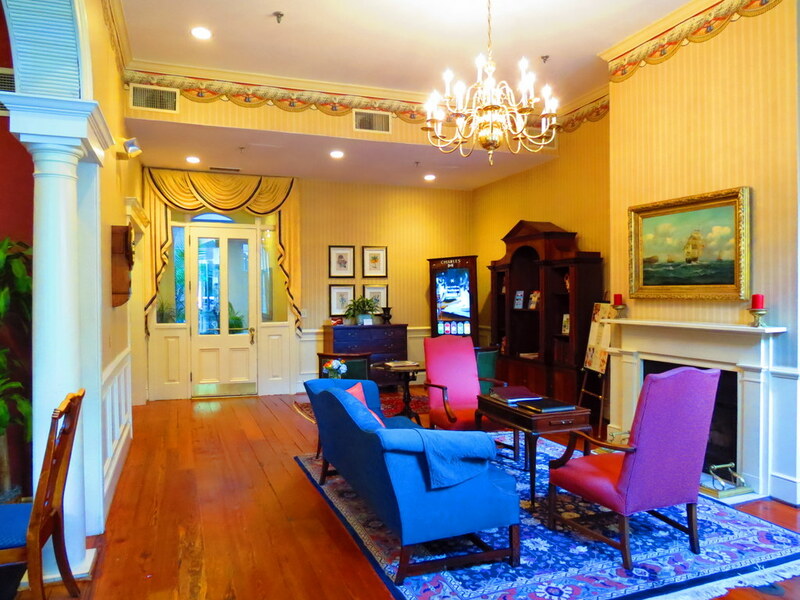 It looks like the Kings Courtyard Inn oozes the southern charm Charleston is known for! It sure does! I’ve started to try and pick accommodations with character – it really makes the experience of a destination all the more fantastic!